They show up and haunt us at the most unexpected times. Just the other day, one appeared when I was cleaning out a desk drawer. The desk belonged to my grandfather, who was as meticulous as I am random. For example, he kept a ledger of every penny he spent from the day he was married until he began to develop Alzheimer’s. I inherited my grandfather’s desk after he passed away. I cleaned it out when I got it, then, for a while, my son used it. When it was moved to the guest room, it was cleaned again. Recently I decided to use it for the same purpose my grandfather did: to conduct the family business. That’s when, while once again cleaning the drawers, I found the drawing of a bird with my grandfather’s careful and easily identifiable handwriting. 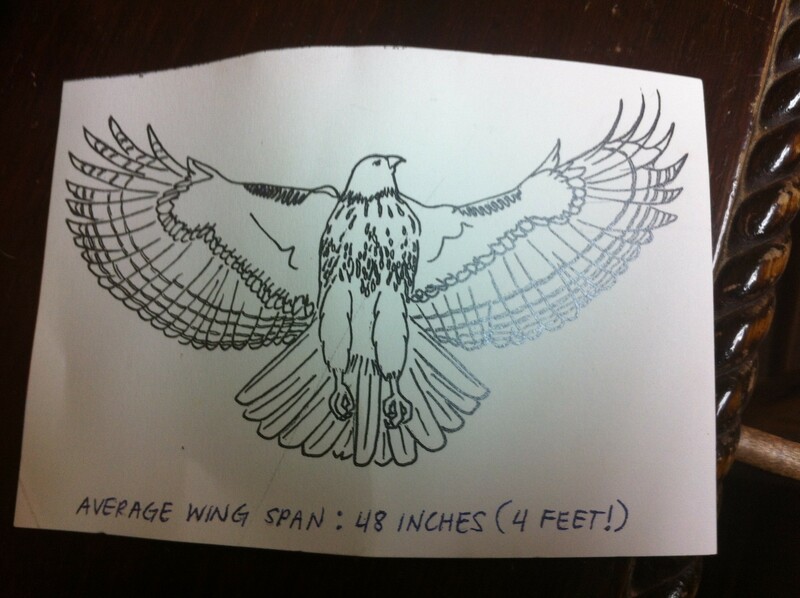 I don’t know the origins of the drawing or why my grandfather was interested in a bird’s wingspan. I do know that card was like receiving a postcard from heaven. Posted on November 19, 2013, in Family, My life, perspective and tagged 365 reasons to smile, Family, ghosts, memories, musings, perspective, smiles. Bookmark the permalink. 55 Comments.